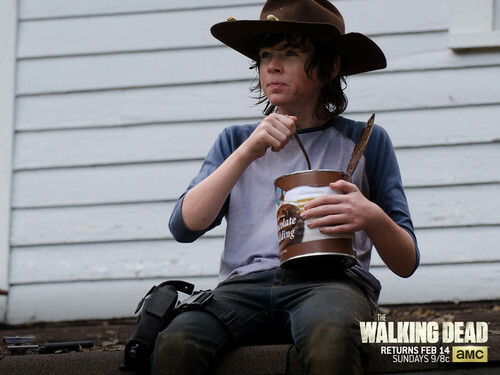 Plans for the Day: TWD & cokelat Pudding.. . HD Wallpaper and background images in the the walking dead club tagged: photo the walking dead wallpaper chandler riggs carl grimes. This the walking dead wallpaper contains jepret hat penuh, snap brim topi, fedora, merasa topi, homburg, stetson, trilby, fedora merasa topi homburg, pendayung, leghorn, panama, topi panama, pelaut, skimmer, topi jerami, pendayung leghorn, and panama topi.